Social Security Disability Eligibility: Are You Disabled? Texans commonly understand that disability claimants usually have to “go before a judge” to finally win the social security they deserve. The administrative hearing before an Administrative Law Judge is usually the first opportunity Texas disabled workers have to explain to the government in person why their medical condition keeps them from working. Texas disability claimants must have been denied disability benefits from the Disability Determination Services in Austin Texas both at the initial and the reconsideration level before they have a right to an administrative hearing. Texans who do not live in DFW/Metroplex are not expected to travel to the Dallas or Fort Worth ODARS office for their hearing. Rather a hearing will be set in a local near to you. The ALJ will either travel to the hearing site, or appear via a teleconferance connection. 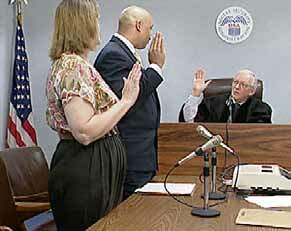 Texas social security disability claimant disability hearings are held before ALJs based in the above offices. As a Texas based attorney Stanley Denman is familiar with all the ALJs in the the 2 Dallas ODARS offices and the ODARS office in Fort Worth. While applying the law uniformly, each Administrative Law Judge has particular aspects of the disability claim that he or she wants presented at the hearing. Attorney Stanley Denman’s years of experience working with these ALJs on a daily basis increases your odds of a favorable outcome.